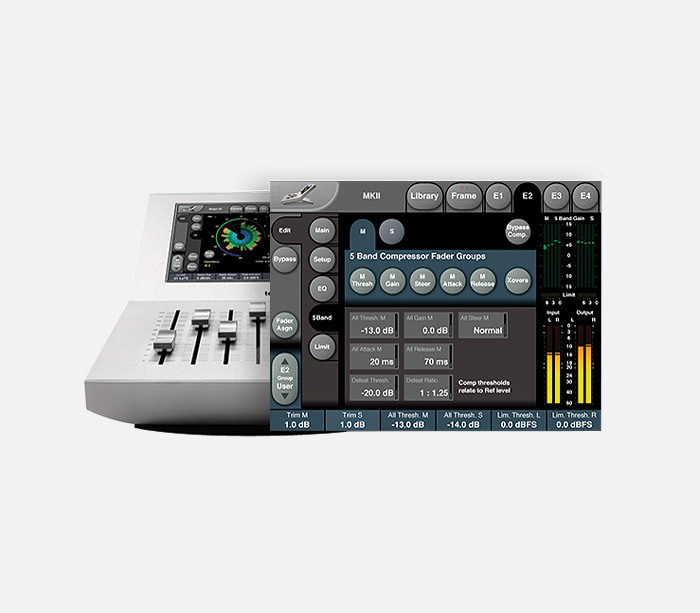 As the System 6000mkII is offered with different software configurations depending on the users requirements, the user may wish to 'cherry-pick' and add additional software as and when required. 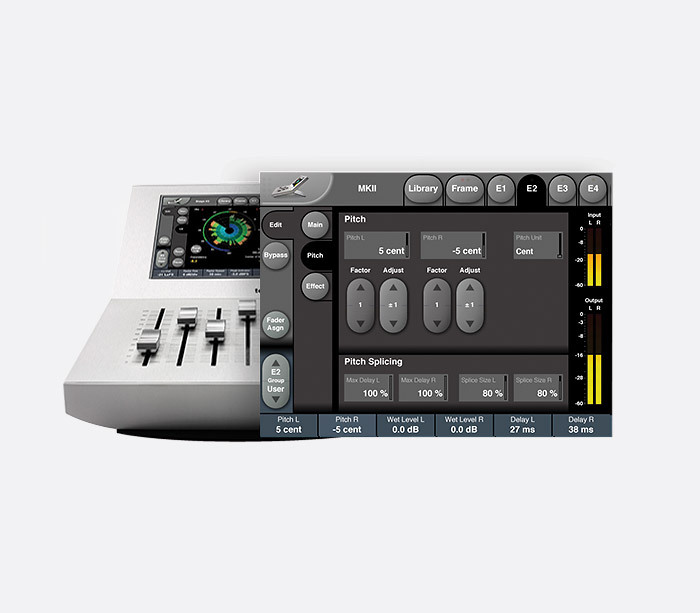 These licences are the optional add-ons compatible with the System 6000mkII. 'Delay 2' - chorus and tape delay emulator. 'VSS Surround' - A room simulation algorithm that turns a diffused field into a Dolby Pro Logic left total/right total (Lt/Rt) signal. 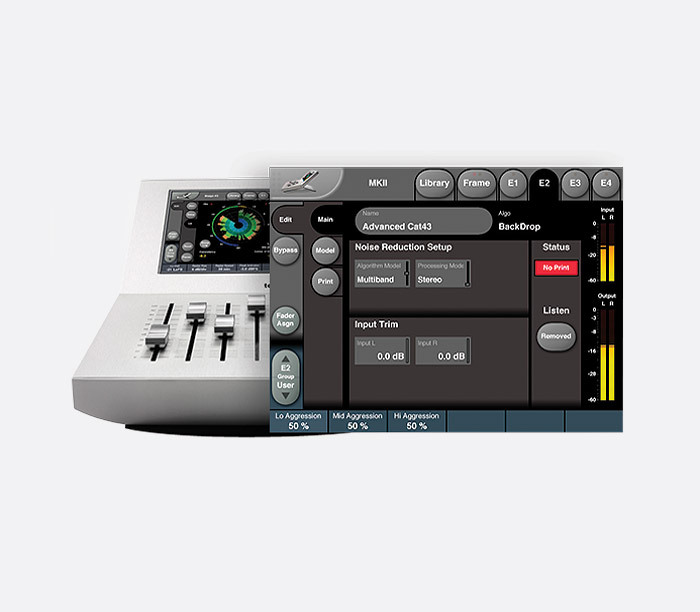 'Matrix 88' - a digital 8-channel mixer with intelligent limiting. 'EQ5.1' - a set of six mono channels of 4-band parametric EQ. Upconversion algorithm designed for film and mastering industries. 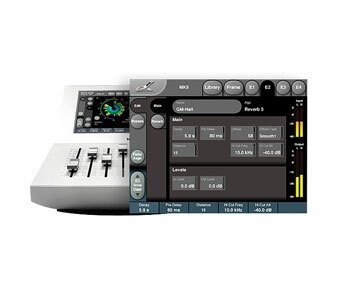 Suitable for stereo to 5.1 channel audio processing. An Leq(M) based 'radar' meter with true-peak measurement for 5.1 signals - useful for broadcast and cinema production. Reverb algorithms for formats in addition to stereo, 5.1 and 7.1 including Dolby Atmos, Barco Auro, and NHK 11.1 to 62.2. 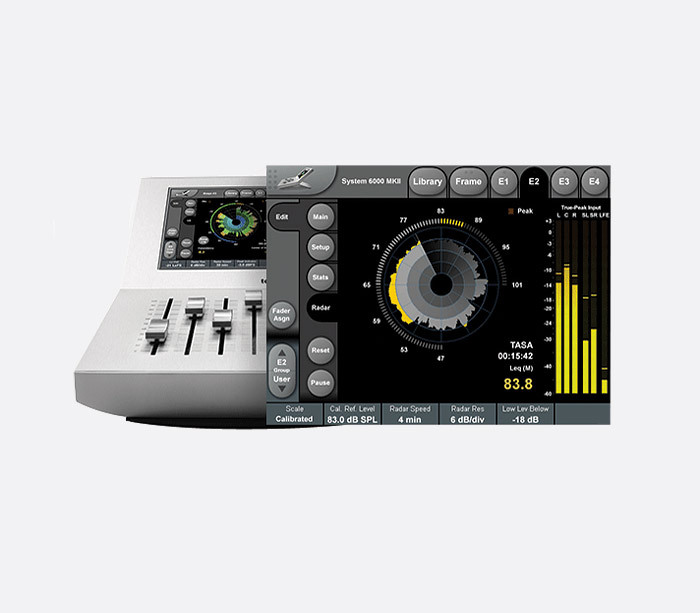 A loudness 'radar' meter plug-in for broadcast, music, post and film that gives quick visual access to meters including momentary loudness, loudness history and target loudness. The Live Aid System has been designed for broadcasters covering live events from either studio or outside broadcast (OB) truck. Includes two algorithms: 'ALC6' - automatic loudness correction; and 'DMix' - an algorithm that allows the downmix, peak limit, and loudness of a mono, stereo, or 5.1 source. This algorithm has been designed for post-production to process audio formats such as 5.0 cinema mixes, DTS or DVD-audio and manufacture a better listening experience for users with standard headphones. This outcome is desirable to end users listening to in-flight entertainment, internet audio, and gaming. 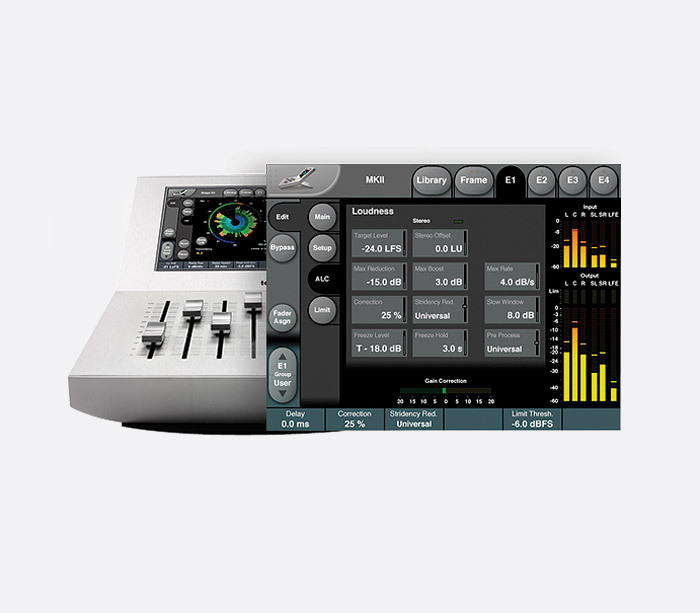 This has been designed to give the user a choice of EQs, with the included 2-channel and 6-channel configurations each having five parametric bands with a range of +/-25dB per channel. 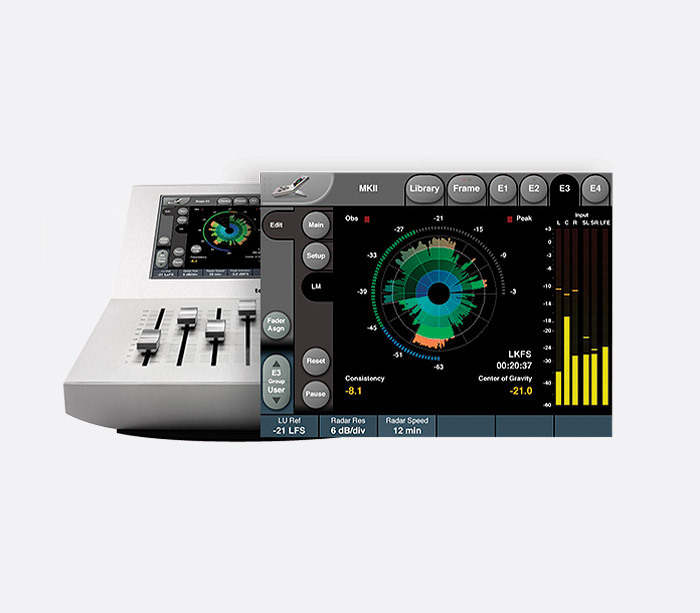 A 44.1kHz or 48kHz sample rate will be up-sampled to 88.2kHz or 96kHz respectively, processed, then down-sampled to the original sample rate. 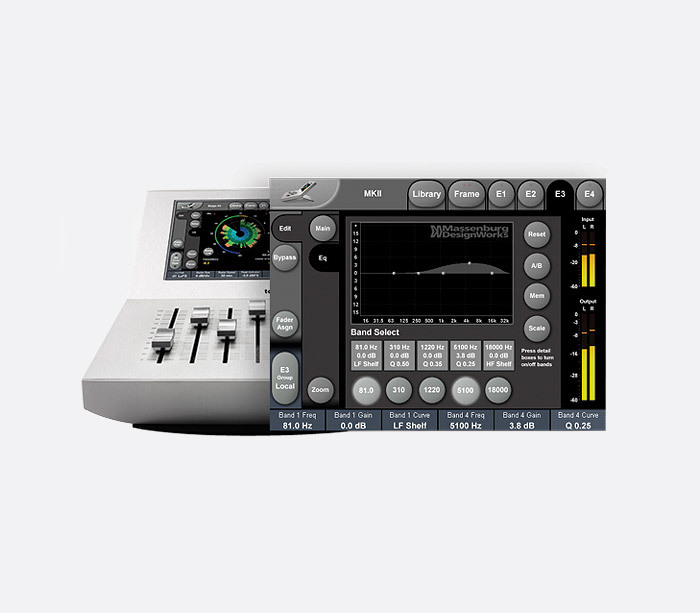 This System 6000mkII licence has been designed with audio restoration in mind. A stereo noise-reduction algorithm with basic, multi-band and multi-type processing modes. Using the display the user can capture a noise-print, then adjust, calculate and apply it. This real-time pitch-changing software with a pitch range of +/- 200 cents has been designed for full 5.1 or 7.1 audio in film and broadcast production.